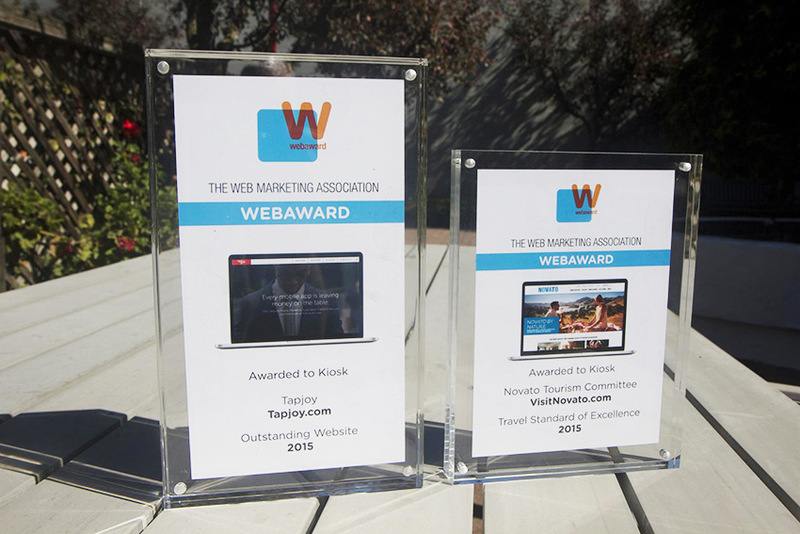 Kiosk was recently recognized with a 2015 Web Award for Outstanding Achievement in Web Development for our work on Tapjoy’s website, and a 2015 Travel Standard of Excellence award for VisitNovato.com, as part of the Web Marketing Association’s Web Awards 2015. Does your website need a facelift? Is it truly optimized for mobile? If you’d like to put Kiosk’s award-winning web development team to work for your business, please give us a call.